my child fell asleep on brooke and the picture is heartbreakingly adorable and must be framed immediately. 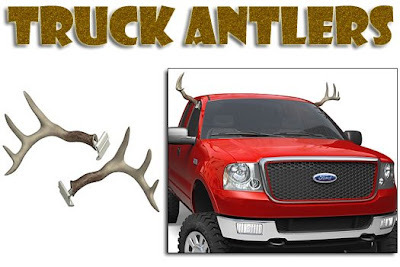 i saw these truck antlers on the highway. 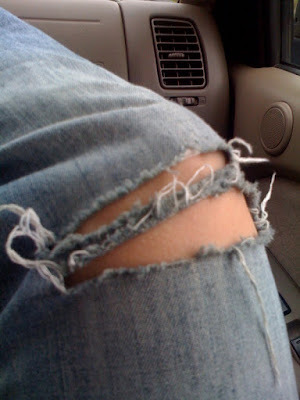 i kind of want them. on my saturn. hilarious. 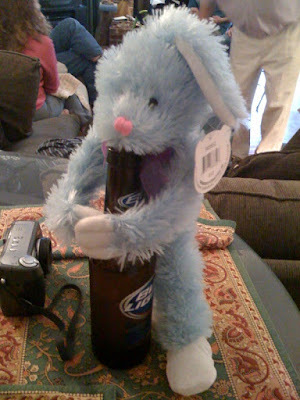 i suffered from easter overload just like this drunken, humpy bunny. only less drunken. and less humpy. well, maybe not like him at all as that would be weird, but you get the picture. we had a lovely four day weekend in st. louis with our friends and family. back to the (bumpn) GRIND tomorrow. i don't see nothin' wrong. I know of another sweet baby girl head that needs smelling. Ew, that sounds stranger when I typed it...anyway, come by sometime and get some baby girlie squeezes in--it's certainly sure to tempt you. Nate looks huge in that picture. They grow up too fast. I love sleeping pictures. They are so sweet. Love love loved this post. Kat at her finest. I laughed out loud in numerous places. P.S. I hope you told that sloppy drunken bunny "Hoppy Easter." traveling, traveling, traveling, traveling on... dolly parton song that makes me cry every time i hear it! my baby girl loves you.